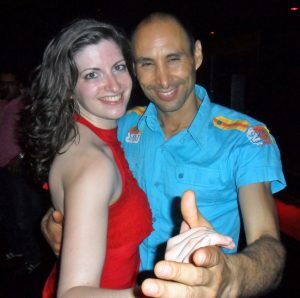 The first time I encountered salsa dancing was in a crowded club in the capital city of Morocco – and I couldn’t believe my eyes. I moved to Rabat in September 2010 to teach English in a language institute. Up until that point, I’d been very active in the lindy hop dance community. I traveled to workshop weekends and dance exchanges regularly. I identified as a dancer. All the literature I read on Moroccan culture told me that my year there would not include social dancing. In order to respect the locals and avoid trouble, I would need to wear modest clothing like long skirts. I packed just one party-type dress, in case I got invited to an event at the American Embassy or Marine House. My social activities would be drinking tea in cafés and sightseeing. I was shocked when we first walked into the club. 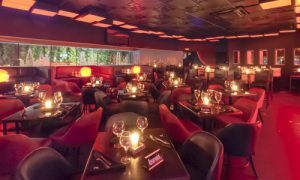 The space was crammed with tiny tables and low chairs, and for every three men in business casual attire, there was a girl in NYC-appropriate club attire. And by the time Nisrine and I had gotten our drinks – two pricy juice blends – salsa dancing had taken over the small dance floor in front of the DJ booth. I had never tried salsa before, but the level seemed really good. Nisrine introduced me to a couple of guys and I used the ballroom mambo I had learned in high school to get through the dances. I knew I was terrible, but it didn’t matter. 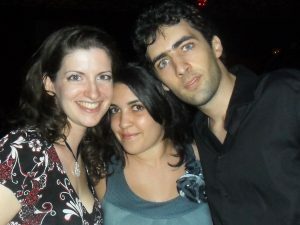 I was thrilled to have found social dancing in an Arab country! It didn’t take long for me to start going out salsa dancing far more often than Nisrine. I had come to Morocco with a firm intention of making friends with locals. The salsa dancers were friendly and didn’t mind my terrible Arabic. I got invited out all the time; though there weren’t salsa socials more than twice a week, we’d go to a regular club and dance to the house or R&B or whatever was playing. I loved the dancing but even more loved feeling part of the community. 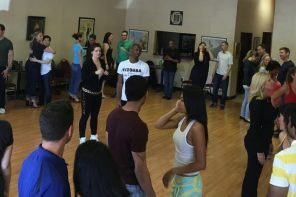 There were three salsa schools in Rabat – well, there were three organizations that taught lessons at local fitness centers and sometimes threw salsa parties. Each of the instructors urged me to come study with them. I went around and did a week of free lessons with each before making my choice. It seemed to me the best students were coming out of SalsaMor. I signed up to do the beginner lessons twice a week with Morad. He made sure everyone was having fun and getting better, week by week. So when he asked me after one class if I would be in his show, I said yes. All the fitness centers in Rabat had end-of-year shows (think dance recital meets judo tournament meets weight lifting competition) and I thought it would be fun to be part of the group. “Morad will be here in a moment,” he replied. After three months in Morocco, I had gotten used to feeling confused and waiting to see how things unfolded. Not everyone spoke French, and even those who did preferred to speak in the local dialect of Arabic, darija. Since my darija never surpassed the level of “dismal,” or more generously, “cute,” I depended a lot on observation. I had a hard time managing my reaction as he explained. Apparently I had not been invited to be in the end-of-year show in May, but to be in a competition with him: the Morocco Salsa Contest. 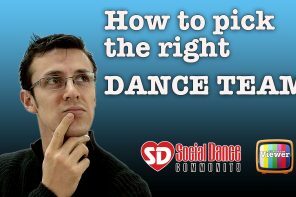 It was to be held in Casasblanca in June and was the only national competition for salsa. At the time this seemed like a reasonable explanation. It was my Cinderella moment! Or My Fair Lady! This was my chance to be transformed into an amazing dancer. Looking back now, I think it had much more to do with the fact that I wasn’t a Muslim girl. Dancing salsa in clubs wasn’t exactly a respectable thing. That was why we wore jackets over our dresses en route to the club, even in the heat. It was one of the reasons classes happened in a fitness center under flourescent lights. So, imagine the damage to a young Moroccan woman’s reputation if she was to be out late multiple nights a week alone with one or two men – with potential consequences for Morad as well, I’d bet. As an American expatriate I was a much safer choice. The three of us became a dedicated team. Morad started putting me through intensive training in fitness and salsa technique. Fadel chose music and arranged it as our show took shape. I helped mark out the phrases in the music and suggested blocking and figures. Morad came up with all the styles, moves, and tricks to include. Fadel served as our external eyes and coach. I played videographer. My dedication to constant filming led to this moment being captured on video. I couldn’t possibly estimate the number of hours that went into preparing for the contest. At Morad’s insistence I started running “to make your feet faster” and took Les Mills weightlifting classes to get stronger. I took every salsa class Morad taught, and when it was just beginners I went off in a corner in front of the mirror to work on getting my double turn clean, and then my triple turn. I bought a full length mirror for my room so I could work on arm stylings and shines. We rehearsed long hours into the night or on mornings we both had off, dancing in our apartments as often as in the studio, trying out lifts on mats or couch cushions. Fadel was pitiless, making us repeat things endlessly until the timing was perfect and our affect effortless. I recorded constantly and became my own harshest critic. 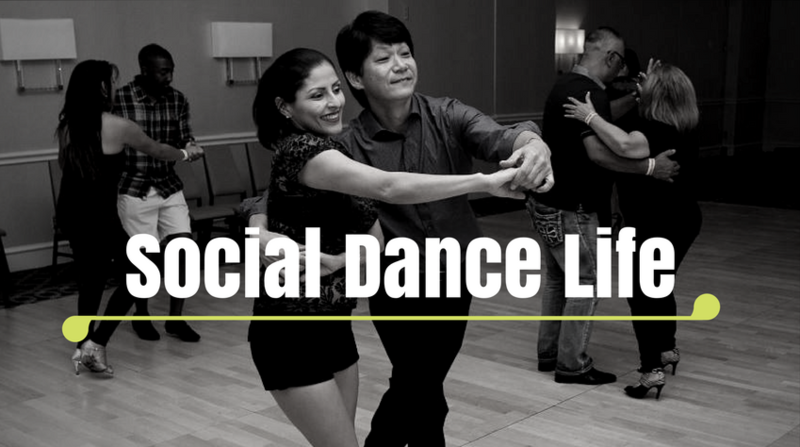 Except for the hours I spent teaching English, I did nothing but train and dance salsa. June arrived and we arrived in Casablanca to compete, just 8 months after I’d started learning salsa. I vacillated between complete terror of embarrassing myself and Morad and trying to convince myself that it was enough for me just to do my best. You can hear Fadel making his own commentary in this video he took on his phone. The one day my camera didn’t work! When we finished I felt so glad for it all. The endless hours of practice had meant that my skeleton and muscles were able to work even when I was crazy anxious. I had learned to just keep going. Regardless of errors, in spite of unforeseen problems, I could continue. Most importantly, I had made huge gains in confidence – not just about dancing but about my ability to learn and change. Putting in the time, the work, the effort: that was what counted. That insight carried me through my kizomba training, launching my own business, learning to build a website, and boosts me even now when I feel that what I want is unattainable because of what I don’t know how to do. Of course, it was also hugely validating when they announced us as Moroccan Salsa Champions! Ouch! But that was a nice series of moves, some of which I’ve never done! 🙂 Congrats! !